"Paradiso" is the introductory story to Chuuwee's 5 part album series "Dystopia". The album includes guest appearances by Looselyric, Abstract Ninjaa and Bishop DeFaun. A dystopia is the entire opposite of utopia (paradise), which is ultimate the post-apocalyptic despair. The entire series accounts for the current state of America and its rapid downfall towards becoming a dystopian landscape. The series begins with "Paradiso", Latin for paradise. The album showcases a happier, lighter emotion as it accounts for the naive way of coping and complacency that we currently hide ourselves behind amongst all of the problems we currently face. The album talks about the importance of education, the increase of police brutality, the dismal estate of which we call our government , our future president, many of the problems we face as of right now and the blindness we portray toward them. 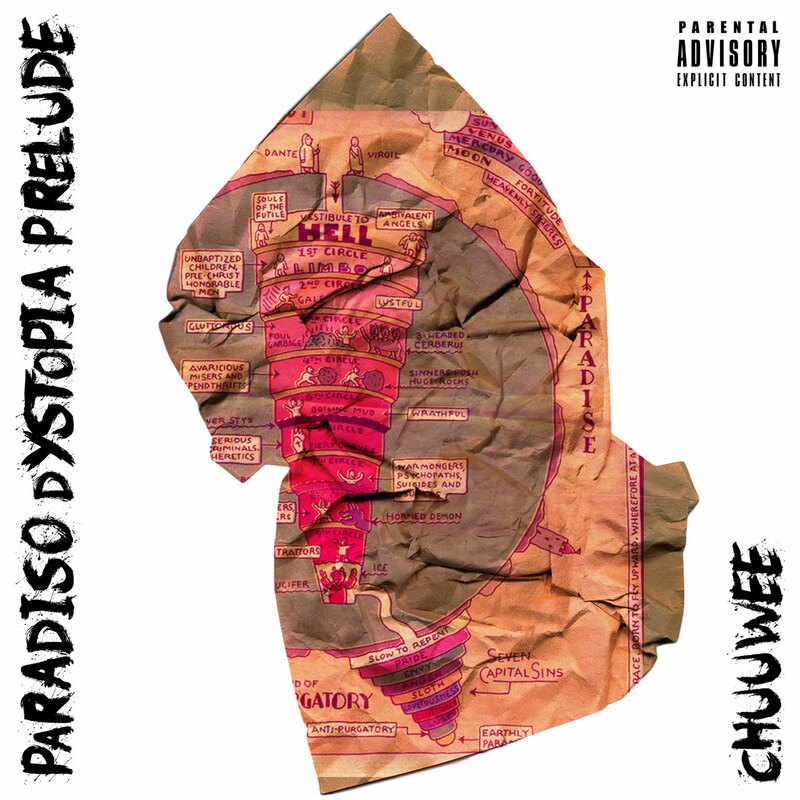 The underlining narrative of the "Paradiso" album, is that Chuuwee is on his way to dystopia, portrayed as symbolization of Sacramento, CA. While in the Uber, Chuuwee and his driver are discussing the various believes of why mankind exists and the values and depths of good vs evil. With each track on the album serving as a reference to an example of each topic spoken on, during the car ride.